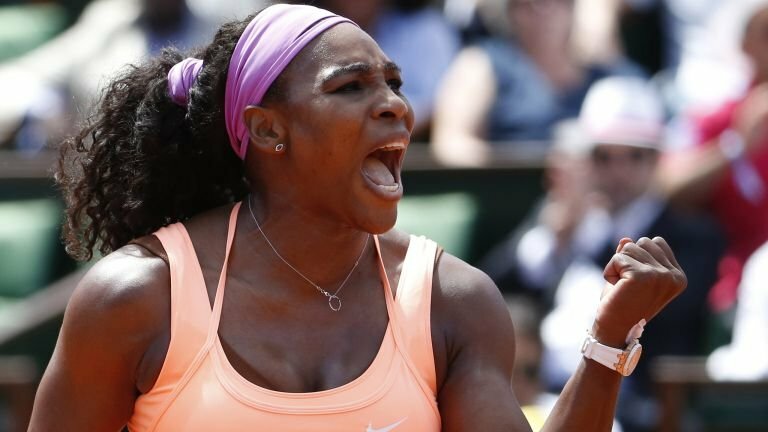 The World’s number One Serena Williams produced another ruthless performance on Wednesday to reach the French Open semifinals at Roland Garros with a 6-1, 6-3 winning scores in a span of sixty five minutes contrary to Sara Errani. The aggressive Errani struggled on the first part and fought in her very best approach but then she had a troubled 15-0 scores. There were Ooohh’s and Ahhh’s from the best crowd while a forehand pass takes Serena to 15-30 scores. The thirty three year old American crowd’s favorite Serena Williams, finished off a definite victory on her fourth match point and just proved that she is too dominant for her Italian challenger. Errani did her best but it is still not enough for Williams’ clever approaches. Serena Williams is targeting her third title at Roland Garros, will then compete versus the twenty third seed and Switzerland’s favorite Timea Bacsinszky who won against Alison Van Uytvanck of Belgium with 6-4, 7-5 incredible scores. Everyone is excited to watch their favorite Tennis player perform in Rome when world’s number one defending champion, Serena Williams suddenly announced her withdrawal from the Italian Open on Thursday before her face off with fellow American Christina McHale in round three and her fans were truly sad and worried. The reason for withdrawing? It’s because of her elbow injury. The champion said the injury first affected her at last week’s Madrid Open, where she lost to Petra Kvitova in the semis. She was like serving only 40% of her control and not serving the best and all she thinks is to be able to have a serve and hit the shots with assurance. Last year was terrible, Serena took five days off and practice for just one day or two before the tournament and that was not a good and healthy idea to face a competition. According to the champion, this is now a good and right decision for the future as she does not want to do the same mistakes again as last year. She does not want her injury to get worse and have a problem during her next game. 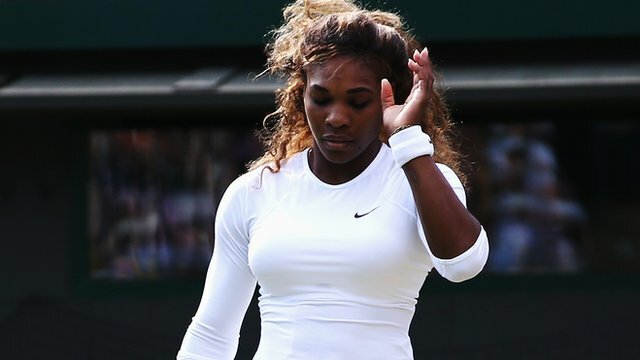 Our victor, Serena Williams guaranteed that she will prepare and give her 100% next time as she is smarter now and will not let anything ruin her strategies. Tennis world number one player Serena Williams is pleasingly waving to the crowd on Saturday for her straight set victory against Monica Niculescu of Romania at Key Biscayne. What else can we expect from her? She did it again! She just showed how happy she is for her another success with no sign of her knee injury. If you can remember, Serena Williams withdrew at Indian Wells for semi-final because of her injury but now Serena played without a wrap on her knee. Serena said to one of the interviews that during her practice, there was a little sore but when she was in the game, she doesn’t not feel any ache nor any lingering effects. This is what you called Adrenalin rush! “Once you step out on the court you have so much adrenaline going. The adrenaline kind of kills it. So I was surprised. I felt pretty good.” Williams added. Niculescu did the best trick and techniques with a series of entertaining rallies however she failed. It is Serena Williams’ day indeed! She controlled the game effortlessly and luckily, she got it with 6-3, 6-1 winning scores. Serena Williams will be back on court on Sunday to face the very young 15 year old Cici Bellis. Serena Williams was defeated against Ana Ivanovic at Australian Open then was lost all over again against Garbine Muruguza in Paris and another lost with Alize Cornet at Wimbledon. 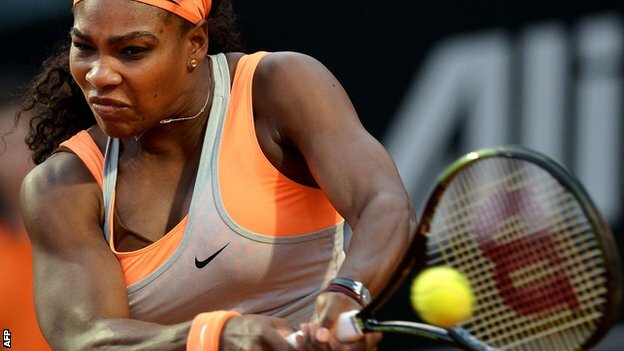 Will her next game be the last chance for the two-time defending champion Serena Williams? “These next two weeks I’m going to have to put that together for hopefully seven matches” Serena stated and she also added that if she does well then Serena will have the opportunity to be in the game for a long time. I always expect the best from myself.” “There’s always next year and the year after, so you don’t give up,” she said. “You just keep going and you keep fighting to continue to win more.” Such an inspiration to the young ones to not give up and always do their best in whatever they do! Her fans are all looking forward to her triumph as it is so hard to see her lose again. The next match is going to be against the eighteen year old American Taylor Townsend which is an interesting opponent for Serena Williams. 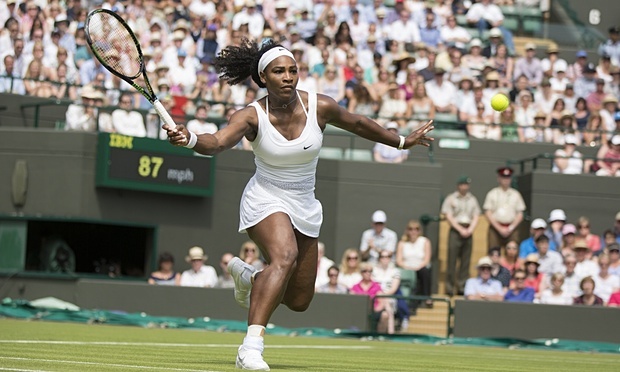 “She is such a great player, a lefty and young which makes her aggressive. This is going to be a refreshing game for Townsend whereas it is going to be an exciting game for me and to all tennis fans. The world no.1 is ready to fight and said to be fit for her US Open title on 25 August. If you remember Serena Williams was forced to pull out of her match due to viral illness. “They just said I was really ill and really under the weather and I just wasn’t doing very well and the instance left me terrified” Serena mentioned in her interview. She didn’t leave her house and bed for a few days approximately three days, heard and read a lot of feedback from other people and did not know and had no idea that people especially her fans will be worried. Serena Williams hopped a match in Sweden. On the other hand the world number one is now concentrating on the preparation for her next must-watch game. The US Open will begin on August 25 in New York City. Having a good quality pair of shoes is very important for a professional tennis player. It is quite true that a reinforced toe can help you win any game. Since tennis is literally a game that requires you to keep sturdy and dynamic, you definitely need a comfortable pair of shoes for your workout or tournament. Playing tennis with outstanding precision, strength and consistency is a great advantage for every player to defeat his opponent. Likewise, every player needs perfect shoes when playing to avoid pinched toes and muscle cramps. Some of the most renowned tennis shoes to consider with good quality are Adidas, Nike and Puma shoes. Most of the world’s top tennis players use these brands and even agree that they fit just right, giving them opportunity to move faster. For instance, world’s famous player Rafael Nadal wears Nike Air Max Breathe Cage shoes when he plays. Being one of his sponsors, Nike shoes remain to be popular as an ideal and top choice for both amateur and professional tennis players. The foot support and stability that Nike shoes can provide is an advantage for Nadal to actually make points and hit the ball. With its speed-oriented support, improved upper durability and air max cushioning, Nike shoes give highest level of performance for the player’s footwork. During 2009 Australian Open, he wears Nike Air CourtBallistec 2.3 tennis shoes of modified variations with his name “Rafa” on the right shoe and a bull logo on the left throughout the season. And for the record, Nadal shoe size is 43. Some of the legendary tennis icons who previously and currently sponsored by Nike is Andre Agassi, Roger Federer, James Blake, Lleyton Hewitt, Maria Sharapova and Serena Williams. Another shoe brand which is much coveted today is Adidas. It is actually considered as one among the best women’s tennis shoes that is efficient in providing comfort, style and support. Adidas has exceptional quality in preventing injury that makes the brand more in-demand not only for professional players but also for tennis enthusiasts and sporty people. Ana Ivanovic, WTA star, wears Adidas Barricades shoes with green stripes. Being the world’s biggest selling tennis shoes, Ivanovic has something to do with the success of Barricade line. As a matter of fact, Ivanovic has signed a lifetime contract with Adidas to promote the brand during her tennis career. To name a few professional tennis players who wear Adidas, we can say famous stars like Andrea Petkovic, Flavia Pennetta, Fernando Verdasco and Andy Murray. When looking for a perfect pair of shoes to wear during tennis workout or match, there are three factors which greatly involved making the right option. There are actually effective ways on how to find the best brand and with wide range of online sport stores today, it is much easier for you to decide on the fit, quality and price of a perfect pair of tennis shoes.